s.m.a.r.t. enables our customers to do prototyping and small series sampling, as well as cutting-edge analysis and research. The s.m.a.r.t. 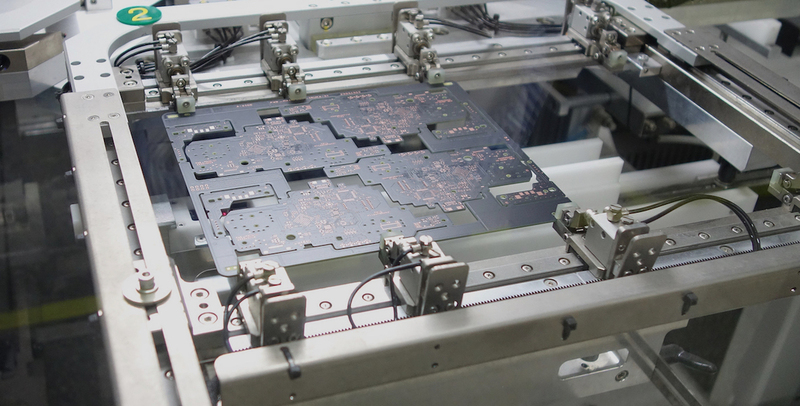 process ensures a high quality PCB before it goes into mass production. Our experts focus on providing you with consultations in order to develop a practical model for PCB processing time. Allowing you to optimize your process productivity before your board goes into manufacturing. Our highly qualified specialists work with diversified technology and superior infrastructure in a well-established and developed production environment. This enables them to provide you with detailed inspections and complete documentation based on VDA 6.3 standards. For long-term tests and material validation, s.m.a.r.t. is comprised of a reliability laboratory with extensive testing equipment. This includes the examination of wetting balance, solderability as well as SIR- and CAF-resistance test, temperature storing chambers, thermal cycle shock chambers. ”The hands-on training at s.m.a.r.t. was a valuable experience for me to understand more on how CML integrates its partners. I spent four days gaining insight into every production process step from incoming raw materials to final quality control. With the gathered knowledge at s.m.a.r.t. I am now able to design PCBs more efficiently. As part of our s.m.a.r.t. philosophy, we also offer our customers hands-on training so that they get a better understanding of our processes and the roles of our partners. This training helps our customers to optimize and understand their individualized PCB design and PCB production process – and transferring this efficiency into mass production. Resulting in more superior and cost efficient PCBs throughout the entire value-chain.